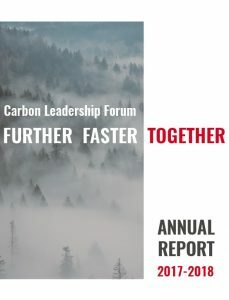 The Carbon Leadership Forum (CLF) released its 2017-2018 Annual Report, which highlights the organization’s recent research, education and outreach work with CLF sponsor firms and collaborators from industry, academia, nonprofits and government agencies. The Annual Report is part of the CLF’s commitment to increase awareness and understanding of initiatives happening to transform the built environment’s role in climate change. Read the full Annual Report to learn more about the CLF’s recent initiatives, events, resources and research projects.